Storm damage in Laurel, Del., on Monday, April 15, 2019. In addition to knocking down trees, generating 60 mph wind gusts, and scaring thousands of the region’s residents, the potent line of storms that moved through the region early Monday set off a “strong” tornado in Sussex County, Del., the National Weather Service said. 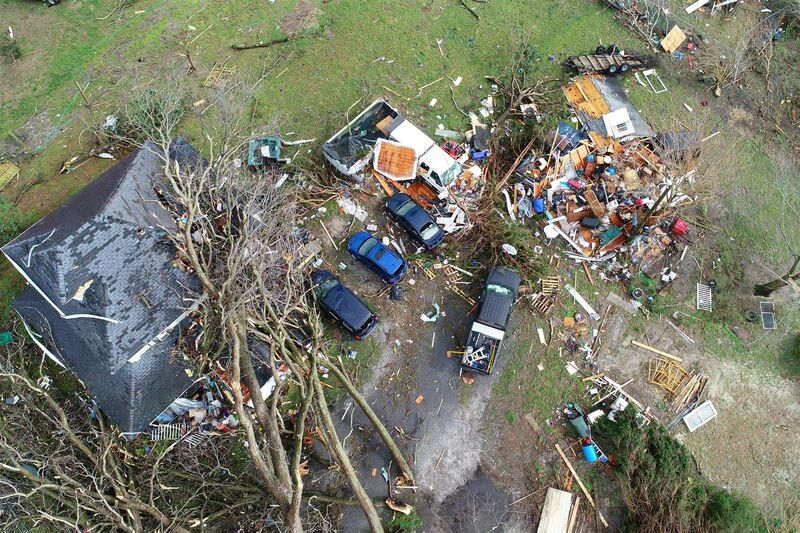 A Weather Service team investigating the storm-damage site determined that the tornado had a peak wind of 120 mph and registered EF2 on the Enhanced Fujita scale. One injury was reported. Tornadoes of such ferocity are “unusual” around here, said Sarah Johnson, a meteorologist at the Weather Service office in Mount Holly. Ordinarily, they are EF0s or EF1s, with winds ranging from 65 to 110 mph. She said the storms blew up ahead of a strong cold front and encountered a warm, moist atmosphere that was primed for mayhem. Tornado warnings startled thousands of residents in the region in the early morning, ruining many a night’s sleep; however, no other twisters had been confirmed as of Monday night, Johnson said. The one in Laurel, Del., cut a path 50 yards wide and 6.2 miles long from Woodland Ferry Road to Pepper Road. A barn was destroyed and a tree fell on a house, resulting in the injury. Several trees were uprooted along the path. A number of 60 mph gusts were reported overnight, and one of 63 mph was recorded at Philadelphia International Airport, the Weather Service said.